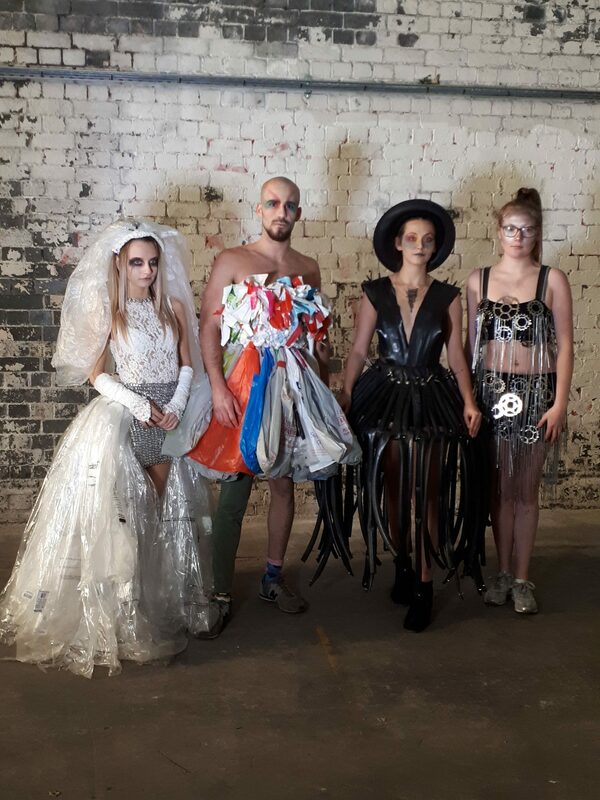 All of the costumes designed by Christine at CERA Cycloan for the “MAN ON BENCH” fashion show were made with recycled items such as ring pulls, inner tubes, bike tyres, bicycle wheel rims, and unwanted plastic bags. The CERA Cycloan costumes were modeled at the show by our volunteers who looked amazing. We would like thank everybody involved for pulling together a hugely impactful show.